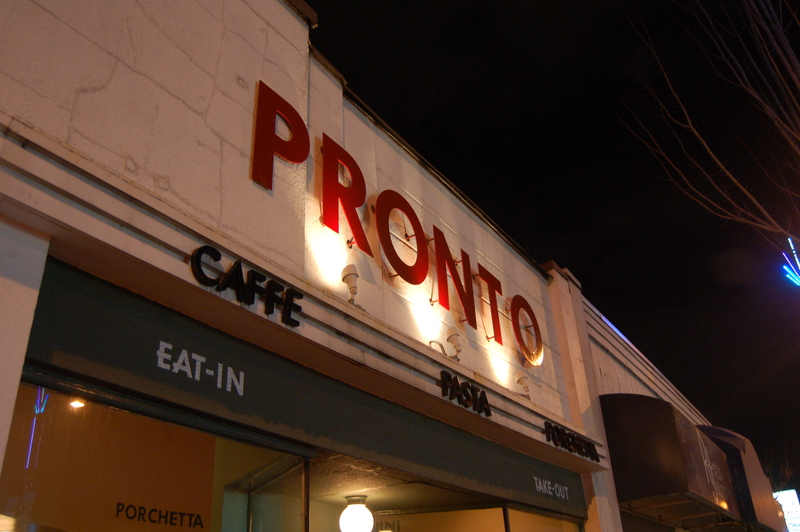 The aptly named Prontino is not only beautiful with its classic Italian supper club design, but it also allows for a much expanded list of wine, cocktails and beer. I decided to head in to find the perfect beer to pair up the best Meatball sandwich in town. 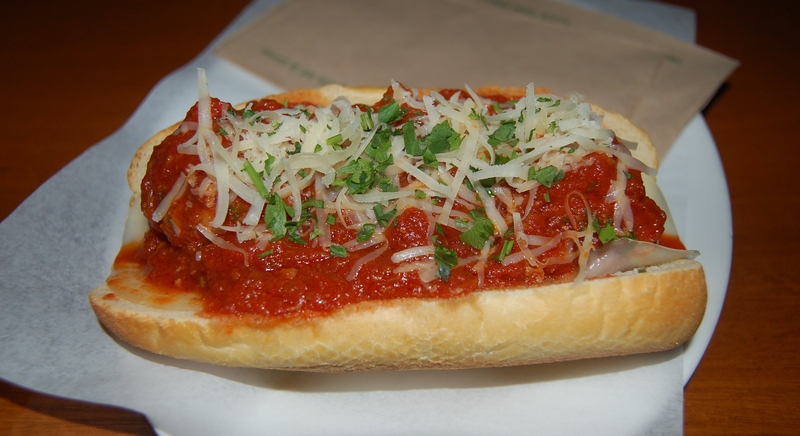 The Pronto Caffe/Prontino Meatball sandwich comes with house made meatballs, slathered with pomodoro sauce and provolone cheese, then topped with parmesan and parsley on a fresh baked Italian roll. As the sandwich was placed in front of me I could smell the rich pomodoro sauce. On first bite one thing is immediately apparent, the meatballs are huge, juicy and packed with flavour. Each meatball, covered in the simple yet totally intense pomodoro sauce rest a top the melting provolone cheese inside the fresh toasted and buttered super soft roll. The shaved parmesan brings a nice earthy flavour along with the necessary salt as well. Who needs spaghetti and meatballs when you can have just the meatballs on a bun, right? Now with the recent expansion of their space comes an expanded list of choices for a great local craft beers and international beers to pair up with this amazing Meatball sandwich. After a quick glance over the beer list the choice was made to go with a staple in the sour beer category, Brewery Veraeghe Vichte “Duchesse de Bourgogne” Flemish Red Brown Ale. This beer is serious business and not for every ones tastes, but I love it and had a good feeling about pairing it with this sandwich. I felt it would play similar to how a big Italian red would pair well with a similar type dish traditionally. 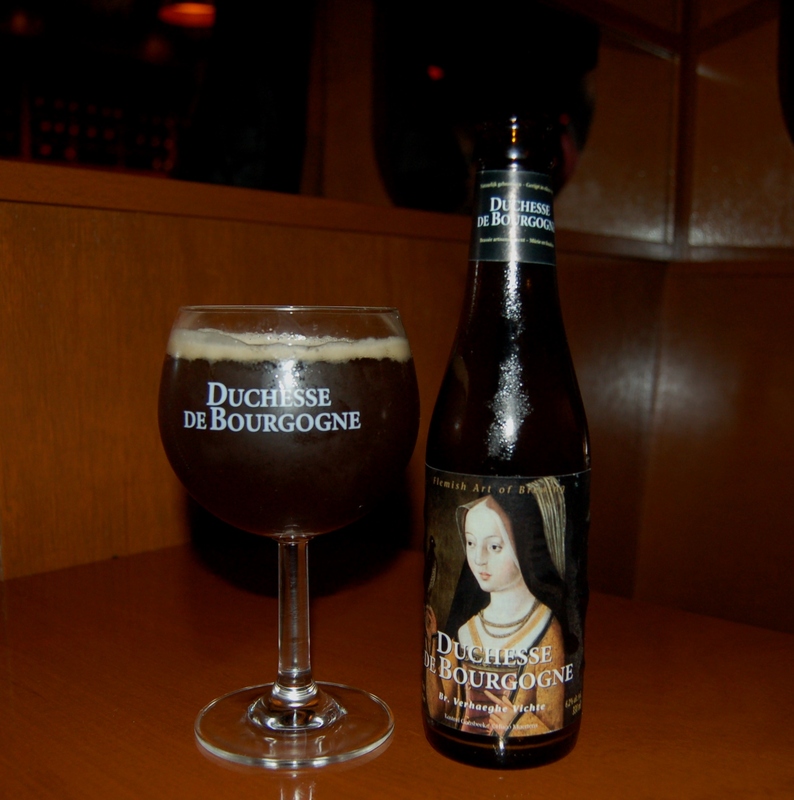 The “Duchesse” has a tart, fruity and slightly vinegary aroma, with a taste that is much the same, with notes of berries and sour cherry throughout followed by a warm finish. This Flemish sour style is highly carbonated with a very dry mouth feel as well. This pairing was really quite nice as the acidity in the beer seemed to bounce back and forth with the acidity in the pomodoro sauce. While the sweetness from the tomatoes finds a buried sweet flavour in the beer as well. I loved the pairing here, and thought it was a perfect way to kick off what is quickly becoming the “year of the sour” here in BC craft beer culture. So if you’re looking for a Meatball Sandwich that is above the rest paired with a hands down winner in the sour beer category then head to Pronto Caffe/Prontino for This Sandwich and That Beer. Check out www.prontocaffe.ca and www.brouwerijverhaeghe.be for more info. 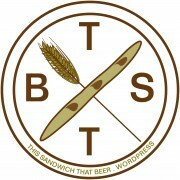 Follow both @ProntoCambie and @ProntinoCambie on Twitter, and follow me @TSTB_blog. 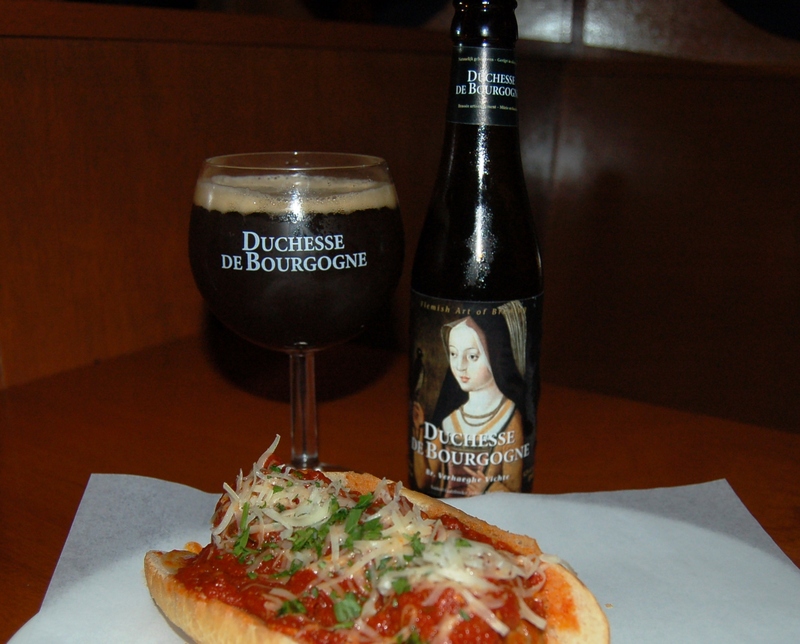 Head to Legacy Liquor Store to find the Duchesse de Borgogne to enjoy at home. Also, listen for my monthly feature Saturday Feb 28th on Just Here For The Beer radio on Team 1410AM in Vancouver at 12pm. Sounds epic. Also anything that can pair with that beer is great in my books. One of my favourite sours of all time.